Claude Rains is best known by non-horror fans as "Louie", the sympathetic French Police Captain in "Casablanca" with Humphrey Bogart. 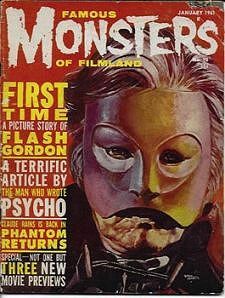 Horror fans know him as the first Invisible Man and the second Phantom of the Opera. Website design and hosting by Sohodojo Business Services. Item 109 of 466 items displayed in viewer. 0 items in cart.